***Disclaimer and trigger warning: This letter contains a description of a sexual assault. Please know that although this story ends in healing and freedom, we understand that it may be difficult for some to read. Please use discretion, and if in doubt, read it with a friend or adult, or have them read it first for you. We are extremely thankful to Kerry for being so brave in sharing her story, and we honestly have prayed over these words, that they would bring hope to even one girl. Love, the GIRL365 Team. Let me start this with a bit of a heads up that I'm sharing some details that may be uncomfortable to read but this letter isn't about the past. This letter is about strength and freedom from the pain of abuse, specifically sexual abuse. If you are reading this and already have that uneasy feeling in your stomach and the anxiety is making you feel uneasy I totally get it. I unfortunately get it. Whoever you are reading this I want you to hear me that you are NOT alone, and that your story is FAR from over. I want you to know that there is HOPE. These experiences are heartbreaking, and they can damage us in extremely personal ways, but that DOES NOT mean we are any less valuable. Not for even one moment. This part of your story does not have to define your future. Even if it feels like it right now. There is SO much more for you beyond what you have been through. I was in my late teens when I was in a relationship with a guy who was a bit older. He was very respected in the community due to his profession and it seemed like a relationship I wanted. I liked that he was older because I felt like I wanted a "grown up" relationship. He had his own house, was financially stable and super into me. He was always trying to guide the relationship to a physical level and I was not willing to allow things to progress that way. Looking back, deep down I didn't feel completely safe with him. I think I was trying to convince myself that everything was heading in the right direction for my life because it LOOKED so right. I asked myself, "Who could possibly not want a great guy like this?" Either way, I avoided situations where I knew the pressure would be turned up. I didn't sleep over or anything along those lines even though he constantly begged me to. I finally decided I would end things and he didn't take it well. I didn't hear from him after the blow up when I ended things. But a few weeks later he called me. He said that he respected what I said but asked if I would come to his birthday party with some of his work people, who I didn't think I would be in any danger with whatsoever. I met the large group for dinner and he introduced me to a guy he worked with. When dinner was done he invited me over to his house to hang out and his friend that he introduced me to would be there. I thought it would be safe. When I arrived they were pressuring me to drink. I was planning on driving and said no. The next few seconds or minutes I don't remember if I tried. What I do remember was his friend on top of me. I was raped, with my ex watching. When he stopped I thought it was over, but my ex raped me right after. Afterward, I ran to the bathroom and puked. They even knocked on the door to ask what was wrong! I honestly couldn’t believe what happened. I grabbed what I could and left immediately. I didn't return a call or message from him even though he tried. I thought I could just move on. But I was wrong. What I wished I would've known was that I needed immediate help. But I didn't get any. I just pushed the feelings down. I believe that most of the thoughts and lies I based my years after the experience on, were formed in the first few days after the assault. I didn't report him or his friend and I should have. I thought holding my head high and avoiding them was the best way to heal. . . It wasn't. I spiraled into dark and deep places. The painful truth is that abuse of ANY kind is deep seeded and will affect the direction of your life whether you think it does or not. If you are reading this and you have experienced something like this, my letter is not the only healing you may benefit from. If you have a close family member or someone able to help you find someone to talk to, it will be an extremely healthy decision. Please trust me on this. The bad news is that counselling or any other treatment options, while extremely beneficial, cannot make you completely whole again. The good news is that GOD CAN! I can promise you that there is a part in your mind, as well as your heart, that has left deep wounds that perhaps have turned into scars already. But it's NOT too late to begin the healing process. No one is too far down the road to start the journey to healing and wholeness. It CAN happen. It WILL happen for you. My sweet friend, God is with you. He knows the emotions you feel and He knows how deep your wounds are. But He STILL sees you through the lens of His perfect Son. He still lavishes you with a perfect, imperishable love. We are not "damaged goods" that only deserve a low-life existence. You have so much more to live for, to hope for, and to fight for. Please hear me. . . When God created you, He had a plan. Unfortunately, we live in a broken, sinful world and we can end up experiencing situations in our life that break us into pieces. The good news is that God doesn't turn us away when all we have to offer Him is our life in "pieces". God is the Master Creator and lovingly accepts our brokenness. He doesn't put us back together in the same way that we were, but in a new way. A way that incorporates our cracks into who we are as tools and as reminders of how far we have come. Some of us need more reminding of this than others. Some of us may take longer to feel like the trauma is under our feet. . . but the BEST good news is that it is. No matter what the lies may tell you, you are not alone, not now, not ever. And no matter what broken pieces you are holding on today, nothing can change the truth that you are worthy. You are brave. You are loved. I am standing with you, believing and praying for your beautiful, healing, still-beating heart. Sexual assault is any sexual contact without your consent. If you or someone you love has been, is currently, or is at a potential risk for anything I have talked about, you need to tell someone you trust. This person needs to be someone mature and emotionally strong enough to help you to safety (whatever that looks like in your situation), to report it if necessary, but also to help you find resources for your healing journey. Remember, you are worth it! For links and more information, please visit our Resources page HERE. 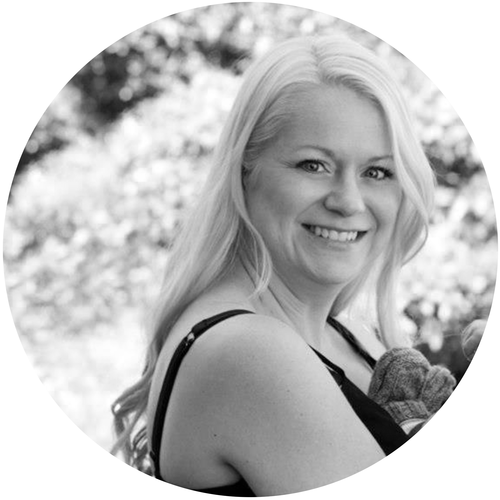 Kerry is a teacher, mom to two rowdy boys, and a pastor's wife, here in Vancouver BC. She has a passion to remind young people of the gifts and purpose God has planned and instilled in them, and to journey with them as they discover who they are and what they were made for. She also loves anything pink and crafty, and has both a great sense of humor and sense of style. We are so thankful Kerry is part of our GIRL365 team! Find out more on her Bio HERE.